Today I have the pleasure of hosting my first guest author on my blog! A few weeks ago I was contacted regarding the possibility of a book review, I read the summary of the book and was instantly intrigued and wanted to know more. Anyone who follows me on Goodreads, Facebook or the Blog will know, I am a massive crime fan and I love and thoroughly enjoy these books with a twist, and especially those with serial killers. My latest review is on the amazing new book ‘The Ripper Gene’ by Michael Ransom. 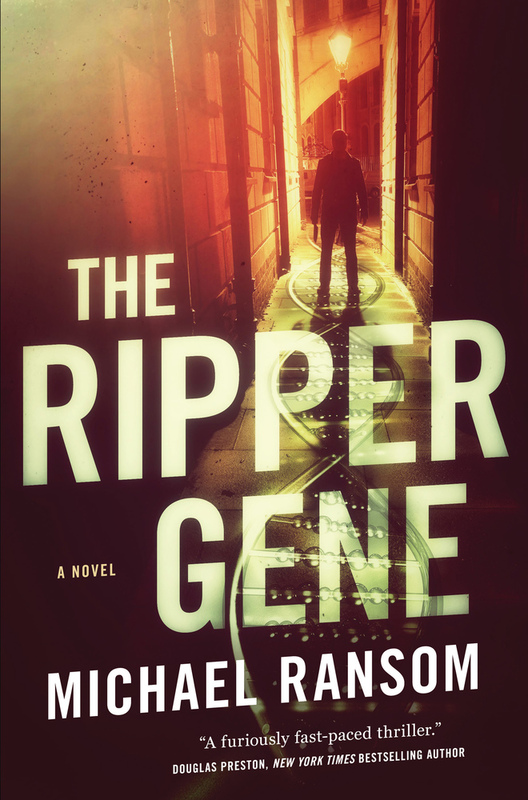 About The Ripper Gene: A neuroscientist-turned-FBI-profiler discovers a genetic signature that produces psychopaths in The Ripper Gene, a thrilling debut novel from Michael Ransom. In summary this book was gripping from the moment that I started it – the main character is Dr. Lucas Madden, a neuroscientist-turned-FBI profiler who first gained global recognition for cloning the ripper gene and showing its dysfunction in the brains of psychopaths. Later, as an FBI profiler, Madden achieved further notoriety by sequencing the DNA of the world’s most notorious serial killers and proposing a controversial “damnation algorithm” that could predict serial killer behavior using DNA alone. Now, a new murderer-the Snow White Killer-is terrorizing women in the Mississippi Delta. When Mara Bliss, Madden’s former fiancée, is kidnapped, he must track down a killer who is always two steps ahead of him. Only by entering the killer’s mind will Madden ultimately understand the twisted and terrifying rationale behind the murders-and have a chance at ending the psychopath’s reign of terror. For me the book was gripping, the descriptions used were brilliant, you felt like you were with the characters in the book. It is an easy five stars for me and I find it hard to believe it’s the author’s first novel. I loved that the book is covering crime, murders and serial killers from a new and different aspect and I highly enjoyed it. It’s definitely one you will want to add to your wish list if you are a crime fan like me!! I am really looking forward to the follow up! 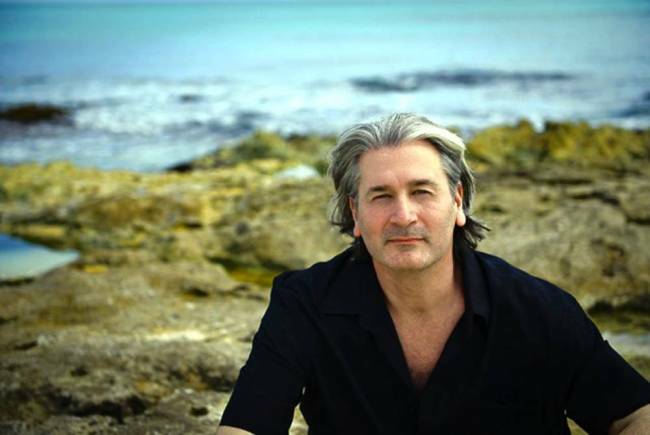 About the Author: MICHAEL RANSOM is a molecular pharmacologist and a recognized expert in the fields of toxicogenomics and pharmacogenetics. He is widely published in scientific journals and has edited multiple textbooks in biomedical research. He is currently a pharmaceutical executive and an adjunct professor in the Department of Pharmacology at the University of Pennsylvania School of Medicine. Raised in rural Mississippi, he now makes his home in northern New Jersey. The Ripper Gene is his first novel. It’s essentially a biomedical mystery / thriller but its classified officially as a “Medical Thriller”. Which works well for me, as it puts me in the company of all the very original authors I read in my early days who inspired me to believe that as a scientist I could also write a novel…authors of great distinction like Michael Crichton, Patricia Cornwell, Michael Palmer, Robin Cook, Tess Gerritsen and others. It’s amazing/humbling/exciting/inspiring to see my book on the Amazon best seller list for medical thrillers right up there among works by all these authors whom I’ve admired for so long. The actual piece of scientific data that literally led to this book was made known to me when I read a scientific article in the journal Science, which had identified a key genetic difference significantly influencing incarceration rates in boys from troubled backgrounds…boys who lacked the gene were more likely to exhibit antisocial behavior than those who had a normal copy. The gene in question was MAO or monoamine oxidase…also known as ‘the warrior gene’… a catalytic enzyme responsible for synthesizing several key neurotransmitters in the brain. When this gene is repressed, levels go down and individuals are typically not able to repress aggression to the same extent that “normal” individuals (persons with normal copies of MAO) can. It was a seminal report that finally helped scientists (in part) understand why there’s undoubtedly a genetic component to the tendency for violence. I knew that we would eventually be sequencing whole human genomes, so I asked myself after reading that article in 2002… what if we ultimately discover a panel of genetic variants that are highly over-represented in serial killers (we haven’t by the way). Would an FBI profiler be able to combine DNA information on an uncaptured serial killer along with behavioral profiling to come up with a more robust picture of the at-large offender? It still may come to pass but we are not there yet, and it’s certainly not clear what kind of DNA variation (polymorphisms, copy number variants, epigenetic modifications, other alterations) might be responsible, either. “Strength, Dammit!” – Christian Slater’s character to Wynona Ryder’s in the movie “Heathers”. Because for me, it was all about perseverance. If someone had told me that more than a decade would pass before the novel in my head at the time would ultimately be published when I started writing, I may have thrown in the towel then and there. It seems like a long time, but now that I’m here, it was worth it. I took the MCAT and was accepted to medical school on a full scholarship, but turned it down so I could be a scientist (and eventually, a writer). I’ve lived, studied and worked in a lot of great places including Mississippi, Idaho, London, Philadelphia, Switzerland, Boston, and New Jersey. But I’m a Southern boy at heart, and always will be. I am currently working on a literary mystery and coming-of-age novel set in northern Mississippi in the 1980’s, a biomedical thriller set in Mahattan, and of course, a follow-up to The Ripper Gene!